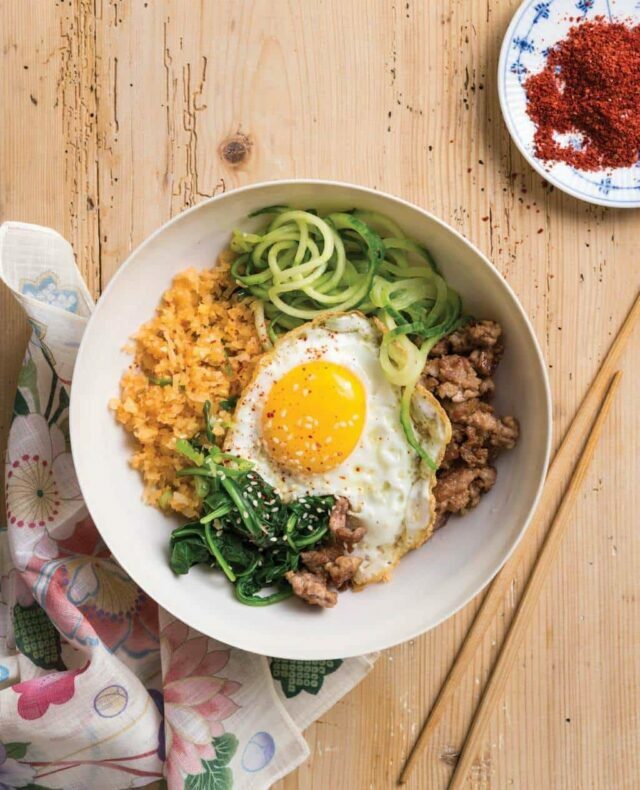 Bibimbap (BEE-beem-bop) is a classic Korean dish of steamed rice served with ground meat (pork, beef, turkey or chicken), colorful vegetables, and a fried egg on top. It’s a savory, filling, hearty dish that is served in a big bowl. Some of the more traditional Korean restaurants will serve Bibimbap in a heavy, thick stone or cast iron bowl. The bowl is heated up first, the a little oil is drizzled in the bowl. Rice is added and pressed down into the hot oil – which then makes the rice delightfully crunchy and crispy on the bottom. Instead of a fried egg, sometimes a raw egg will be cracked on top, and when mixed in with the sizzling rice, coats every grain and cooks gently. For those looking for a Paleo friendly or low-carb option for this Korean dish, Ali Maffuci, author of Inspiralized: Turn Vegetables into Healthy, Creative, Satisfying Meals and the blog, has created a brilliant alternative for the rice. Replace the rice with the humble Asian daikon radish. Surprisingly, when the “minced” daikon radish (using a spiralizer then pulsing in a food processor) is stir fried with ginger and garlic, it transforms into tender, aromatic morsels that easily tags along with accompanying ingredients in the bowl — just like rice. 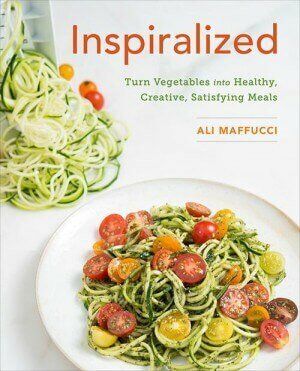 If you’re living the Paleo lifestyle, or just want to steer clear of rice, pasta and breads, Ali’s Inspiralized Cookbook offers creative recipes that go beyond the normal, “replace spiralized zucchini for the noodles” shtick. My favorite recipes are the ones that replace the rice – Spicy Seafood-Chorizo Paella and Sweet Potato Fried Rice are next on my list to try. What spiralizer should I use? Do you have a vegetable spiralizer? Create ribbons of “noodles” from all types of vegetables including zucchini (we call these zoodles), cucumber, daikon, sweet potatoes and more. If you don’t know which one to buy, Watch my video review of different vegetable spiralizers and how to use them. Gochujang is a Korean red pepper paste made from red chiles, glutinous rice and soybeans, found at Asian markets and many supermarkets. If you prefer your Bibimbap to not be spicy, look for Doenjang, which is a soybean paste without the chiles. If you cannot find Doenjang, a suitable substitute would be miso paste, both are made from beans and will provide a umami-rich, savory flavor to the dish. Gochujang, Doenjang and Miso paste all store well in the refrigerator. If covered well (I press a piece of plastic wrap over the paste to minimize air), it will last for a year. If you are a strict Paleo - replace the soy sauce with coconut aminos. Gochujang has a bit of sugar in it - so you can omit and replace with Asian red pepper powder or cayenne pepper powder. 1. Spiralize the cucumber, medium thickness, then set aside in refrigerator to keep cold. Spiralize the daikon radish, thin thickness (blade d). 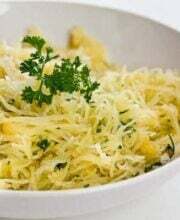 Place the spiralized daikon in a food processor and pulse until resembles size of rice grains. You should have approximately 3 cups of daikon rice. 2. 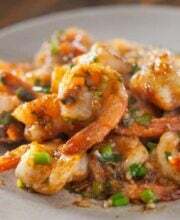 In a medium bowl, whisk together the soy sauce, rice vinegar, gochujang, sesame oil and sesame seeds. Add in the ground pork to the bowl and let marinate on counter while you continue with recipe. 3. Heat a wok or large saute pan over medium-high heat. When hot, drizzle in cooking oil and swirl to coat pan. Add in the scallions, ginger and garlic. Stir fry for 15 seconds until fragrant. Add in the daikon "rice" and stir fry for about 5 minutes, until the daikon turns transluscent. Season salt to taste and toss well. Remove "rice" from pan, and cover to keep warm. 4. Wipe the pan clean. Return pan to medium-high heat. When hot, drizzle in just a little cooking oil. Add in the spinach and stir fry, tossing frequently, for 2 minutes, until spinach is wilted. Remove spinach to plate and set aside. 5. Wipe pan clean. Return same pan to medium heat. When hot, swirl in cooking oil. Crack in the eggs and cook without stirring for 3 minutes or until the egg whites are set on the edges. Cover pan, reduce heat to medium-low and cook for an additional 1-2 minutes until the egg whites are cooked through and the yolks still runny. Remove from pan to a plate, and set aside. 6. Return same pan to stove, set on high heat. When hot, swirl in cooking oil. Add in the marinated pork, breaking up the pork with your spatula. Cook pork for 4-5 minutes, until no longer pink and pork is cooked through. 7. Evenly divide the daikon rice, pork, spinach and cucumber noodles between four bowls. Top each bowl with a fried egg. That is one tasty looking bowl of bibimbap! This looks very nice! I love BiBimBamp and look forward to trying it without rice. 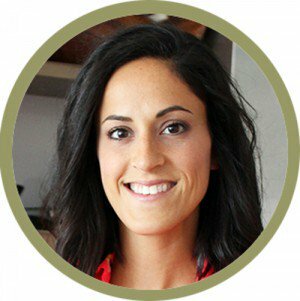 I am so looking into every Paleo and low carb option right now! I just find, it’s really hard to keep up this type of diet if you don’t get creative, so I find this recipe quite inspirational and yummy looking. Getting worried, spring break is only 4 weeks away and that Spanx bathing suit just ain’t gonna fit if I don’t make some quick changes!!! Looks great, but I am pretty sure the Paleo Diet Police are going to come after you because Paleo doesn’t allow soy sauce. A lot of Paleo folks use coconut aminos to replace the soy.